Is "Minority Report" pure fiction? Journalist Raj Shekhar had an interesting article in the Times of India this week. It’s like PreCrime, only four decades early. 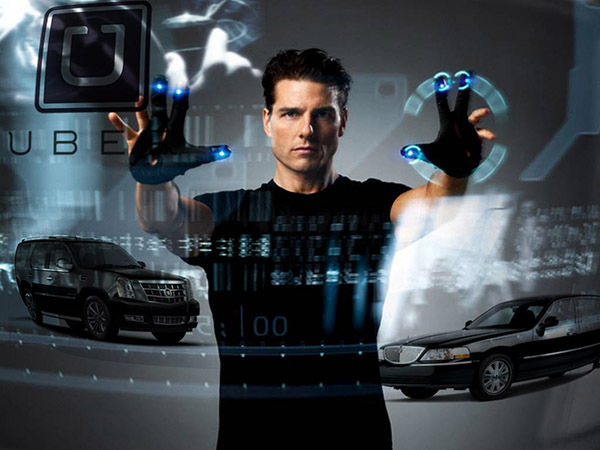 The “predictive policing” system seen in the Tom Cruise blockbuster Minority Report is now taking shape in Delhi. But instead of the three slime-immersed psychic “Precogs” that system relied on, Delhi Police’s crime prediction will be based on cold, hard data. Once Enterprise Information Integration Solution or ‘EI2S’—a system that puts petabytes of information from more than a dozen crime databases at police staff’s fingertips—is ready, Delhi Police will be able to implement its ‘Crime Forecast’ plan to predict when and where criminals will strike. The technology is not as fanciful as it seems at first and is already being tried out in many important cities, including New York, Los Angeles, London and Berlin. Officers associated with the plan say the software will analyze police data for patterns, compare it with other data from jails, courts and other crime-fighting agencies, and alert police to the likely threats. Data will be available not only on the suspects but also their likely victims. A global tender has been floated for the project and Delhi Police is in talks with various firms for the technology. According to the article, the system can help pre-empt many situations. For example, a violent clash between two gangs. It can identify individuals who are likely to join gangs or take to crime in an area based on the analyses of their behaviour and network. It can also curb domestic violence by identifying a pattern and predicting the next attack, the article said. It all boils down to spotting patterns in mountains of data using tremendous computing power. A police document about the plan states that investigators should be able to perform crime series identification, crime trend identification, hot spot analysis and general analysis of criminal profiles. Link analysis will help spot common indicators of a crime by establishing associations and non obvious relationships between entities. Using neighbourhood analysis, police will be able to understand crime events and the circumstances behind them in a small area as all the crime activity in a neighbourhood will be available for analysis. Criminal cases will be classified into multiple categories to understand what types of crime an area is prone to and the measures needed to curb them. Classification will be done through profiles of victims, suspects, localities and the modus operandi. Another technique, called proximity analysis, will provide information about criminals, victims, witnesses and other people who are or were within a certain distance of the crime scene. By analyzing demographic and social trends, investigators will be able to understand the changes that have taken place in an area and their impact on criminality. Network analysis will also be a part of this project to identify the important characteristics and functions of individuals within and outside a network, the network’s strengths and weaknesses and its financial and communication data. While the system could help fight crime and rid Delhi of its ‘crime capital’ tag, it is bound to raise concerns over privacy and abuse as no predictive system can be foolproof. This article was written by Sacha Breite, head of future payments at SIX Payment Services. It originally appeared here on July 20, 2015. The search for a common, international standard of payment authentication is in full flow. Governments, retailers, banks and (not least) consumers are all eager to find a means of confirming someone’s identity beyond any doubt, secure from external hacking and technologically reliable. The situation has become more urgent with the wildfire spread of mobile technology, opening up countless opportunities for remote transactions, but placing a growing burden on payment systems to prevent fraud and theft, both of assets and identities. So, what are the best ways forward? Already in common use at border controls and in many smartphones, fingerprint identification has become widely accepted. But concerns over its reliability and security has dissuaded banks from adopting it for payment authentication. Some consumers fear that their fingerprint hashdata could be copied and used fraudulently, so they have switched back to pin ID. Younger consumers are more relaxed with the technology and ApplePay can be activated using fingerprint ID. As technology develops and sensors are more widespread, some are concerned that their fingerprint ID could be captured simply by touching something, without realizing. The technology is likely to remain popular, but probably in combination with other forms of ID. Another border control technology which is likely to spread into the commercial world, this once again raises reliability concerns. What happens if one’s face alters its appearance? Can someone be impersonated by showing an image of their face? A number of extra aspects can tighten security: infrared scanners can tell the difference between a live person and an image; a 3D scan of someone’s head provides further authentication; and iris recognition is becoming more sophisticated. The new ‘Hello’ function on Windows 10 includes a means of unlocking one’s computer simply by looking at it. So the prospect of going to an ATM, looking at it and then getting cash out, may be possible in future (though some people will object to being filmed, on privacy grounds). Customers taking ‘selfies’ and using these as authentication, either as a still image or a video, is another emerging form of authentication. Recently MasterCard announced plans to pilot this solution and replace passwords in 3-D Secure protected payments. Like our fingerprints and irises, everyone has a unique heartbeat. Using this for identification has the advantage that is it dynamic rather than static and therefore harder to replicate and proves that you are an actual human being. The technology is part of many current and emerging devices, particularly for sports and fitness use, providing a ready means of integration with other systems, such as transactions or establishing ID. Wearable technology, whether for health, fashion or communication, will give this type of authentication further impetus. So we can expect to see more of it in the years to come. Beyond the technologies employed, there are further debates over whose responsibility it should be to develop any common standard. Governments are an obvious place to start, and indeed they have collaborated successfully to introduce border controls using biometric ID. Yet transactions involving large amounts of money, especially ones using mobile devices, require greater security than this. People are physically present at border points and have to show their passports, so the biometrics are simply an additional security layer. Most of the initiatives rolled out by governments using biometric ID authentication for health insurance (for example) have failed to work in the commercial sphere. Card Schemes such as Visa and MasterCard would love to introduce such a system and have it commonly adopted internationally, since it would increase brand loyalty and probably win them new customers. But so far, the lack of clarity over what kind of technology will be most widely accepted, by governments, consumers and by the legal world, has prevented any major financial service provider taking a leap of faith. Reliability, security and privacy issues remain unresolved. In some ways, technology is leaping ahead of the best efforts of governments and banks, through applications like Google Street View and Google Image, where individuals can be identified through pictures taken of them without necessarily having their consent. And commercial services such as Amazon, PayPal and eBay have pioneered slimmed-down ID procedures, which may become more widely adopted. An ever increasing amount of data is being stored on all of us, which will enable identification through many differing avenues. Irrespectively of the current position of biometrics and technology, it is vital for banking and payment infrastructure providers like SIX Payment Services, to provide high levels of security and reliability. In the near future we can expect further innovations to appear in this space, however it is still unclear which will form the basis of a single global standard, until the dust has settled from the current burst of activity. 50 years after President Lyndon Johnson signed into law legislation creating two new national health insurance programs – Medicare and Medicaid – the latter is the largest source of medical and health-related services in the US, providing healthcare to over 68 million Americans with a low income. As the number of enrollees continues to grow, so then does the challenge of maintaining program integrity and fighting the inevitable fraud that hurts us all. As someone who markets technology solutions in the fight against fraud and crime, I found much of the conference to be right up my alley. As with any conference, much of the agenda was sponsored by vendors of data solutions and technology. Kudos to LexisNexis for sponsoring keynote speaker Elizabeth Smart, former kidnapping victim and advocate for children’s safety. Her story was a powerful way to begin the conference and the packed room was riveted by her story and courage. NAMPI president John McCormick’s Monday morning remarks were short and sweet and set the tone for what turned out to be an excellent couple of days. In particular, I thought the breakout session on program integrity by the US Government Accountability Office was excellent, as well as a session discussing the facts and myths about Return on Investment. The panel included Illinois Inspector General Brad Hart, Ohio’s Lalita Jambhale, and Oklahoma’s Cindy Roberts. A session called Advanced Analytics was also well-attended and, in my opinion, one of the better forums. There were several excellent vendor-specific sessions as well, most notably a session entitled “The Next Generation of Medicaid Program Integrity: Where Identity Data, Linking Technology, and Clearing Houses Intersect”, and a look at Missouri’s Medicaid Audit and Compliance programs sponsored by Truven Analytics. A walk around the Exhibitor floor showed most of the usual suspects – HMS, Truven, SAS, IBM, and others. Each vendor had some uniqueness and most had interesting fraud detection and visual analytics. 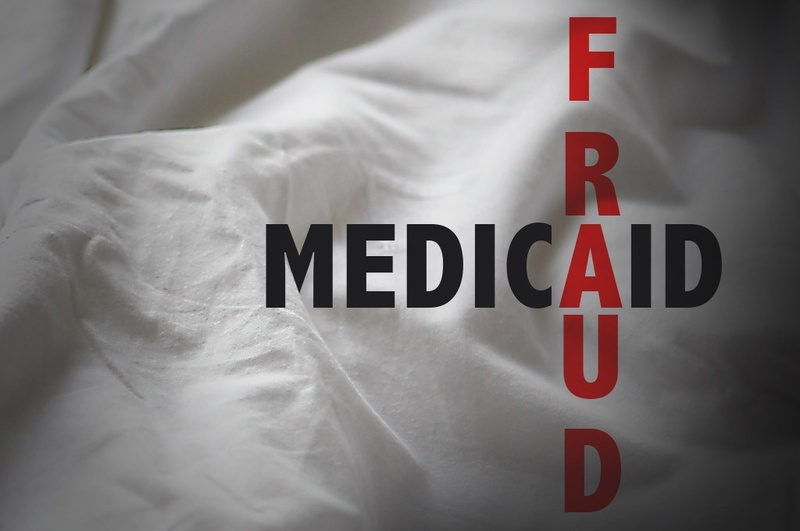 Still missing from the end-to-end solution equation, however, is an investigative case management system that is purpose designed for Medicaid fraud investigations. Most vendors talked a good talk… few could walk the walk in that area. 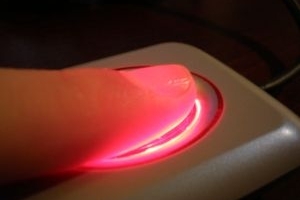 And what about a biometrics play? Identity assurance is a key element to medical care, why not in program integrity? When will someone fill those voids? Of note, 21CT was in attendance and had, from what I could see, one of the better overall demonstrations. Their Torch offering continues to impress. Also interesting, Appriss‘ continued push into the industry with their ever-growing database of incarceration records. All vendors performed well, and a full list of those sponsors and exhibitors can be found on the NAMPI Conference website. Congratulations to NAMPI on an excellent conference, and here’s hoping that the ideas shared continue to put a dent in the billions lost to fraud each year.